Alejandro González Iñárritu, the celebrated Mexican director and co-writer of such films as Babel, 21 Grams, and Amores Perros, may be the creative force behind the Spanish-language Biutiful, which is being rolled out in limited release this weekend, but it is the star of his film, Javier Bardem, who is winning the lions’ share of the critical acclaim. Bardem, who already won the best actor award for this film at the Cannes Film Festival last May, is one of those rare stars who is nominated for a best actor Oscar even though his performance is in a language other than English. “Astounding,” is the way Sean O’Connell describes it in the Washington Post. “Watching Bardem occupy, embrace and ultimately own a multifaceted role like the one he plays in Biutiful is a rare treat, and an absolute joy,” O’Connell says. Several critics may inescapably find fault with what they suggest is an overloaded and melodramatic plot, but A.O. Scott in the New York Times maintains that Bardem imbues it with the necessary cogency. “Mr. Bardem … combines muscular, charismatic physicality with an almost delicate sensitivity, and this blend of the rough and the tender gives Biutiful a measure of emotional credibility that it may not entirely deserve,” says Scott. Claudia Puig in USA Today also suggests that Bardem’s performance illuminates an otherwise gloomy tale. “If not for the Spanish actor’s expressive eyes and wistful smile, the film might be unrelentingly dismal. 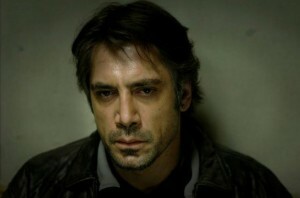 But Bardem’s soulful turn lends this haunting meditation a sense of hope,” she writes. Likewise Roger Ebert in the Chicago Sun-Times indicates that the entire film really rests on Bardem’s shoulders. “What drew me into the film and engaged my sympathy was the presence of Bardem himself,” Ebert concludes, describing Bardem as “a vastly human actor. He can be handsome, ugly, hard, tender or a monster (as he was in No Country for Old Men). Here he suffers, and is good, and suffers partly simply because he cannot do good things.” All of which may be fitting for a movie that critics suggest suffers for not being as good as its star. 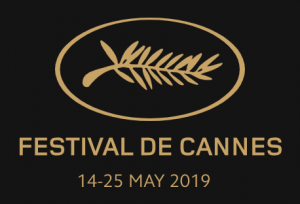 STUDIO BRIEFING will offer daily coverage of the 72nd edition of the Cannes Film Festival from May 14-25. BERLINALE: WE HAVE A WINNER! Purchase animation cels and lithograpghs at WBShop.com !